It’s time to look at a new MLB game I got recently. It’s one of the few sport titles from EA that I didn’t grow up. I always used to play Football and Basketball and even played a few FIFA titles along the way. 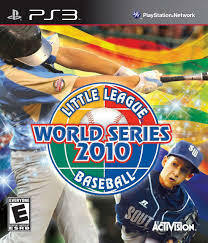 However, even though I did own one Baseball game for Gamecube, I just never really played it. As a result, it can be tough to get the controls to this one. Sport games have some of the highest learning curves and this one is no exception. The end result is that the game feels as slow as the real life sport does to me so it doesn’t end up being a very entertaining experience. Naturally there are quite a few modes here. 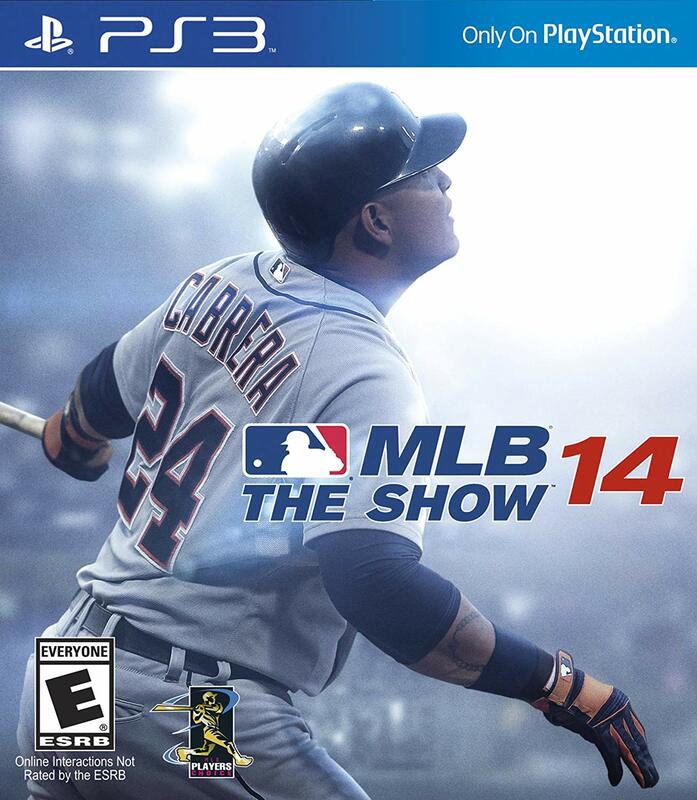 The main one is the Franchise mode where you go through the entire Baseball season. You’ve really got to love the game to do that though as there are many games to go through. You can do this online as well as you go up against other teams and hope that the players don’t disconnect just as you’re about to win. There are also minigame modes here like the Home Run Contest which I had fun checking out. It’s a bit long though so I recommend shortening the duration in the settings before starting. Fortunately the game does let you fast forward through the mode if you start to get bored. I hit a ton of Home Runs, but after a while you just want to get back to the game. The problem is that in a normal game I was having a hard time getting any hits. I think I only got a real hit twice. Every other time they would just catch the ball or tag me before I hit the base. Something didn’t feel right about all of that. Baseball is a hard game to adapt for sure and I think EA just doesn’t do it all that well. I enjoy the Mario Baseball games. They may be overly simplified but you quickly know how to hit and pitch. In this game both gameplay modes are so advanced that you’ll need big tutorials on both. I couldn’t find a tutorial mode within the game though, just normal practice. I just couldn’t pitch a straight ball to save my life. I’d click the pitching button without moving the stick and it would still go out of left field. It seems like you have to take the wind into consideration or something like that, but that’s definitely making things more complicated than they ought to be. Then you’ve got batting where part of it feels luck based. A large part is skill like when to hit the ball, angling, and stuff like that. However, once you hit the ball all bets are off. In Basketball or Football you are largely in control of the game for at least 90% of what happens. RNG is always still around of course, but it won’t be trying to get in your way all that much. As I said, I couldn’t get any hits past the infield. It was crazy! As always EA does deliver on a technical level though. The graphics are very nice and everything looks quite sharp. You feel like you’re in a real Baseball game. It may not be quite as exciting as their other titles, but Baseball is rarely meant to be a “flashy” game. They just tried to emulate the real thing as best they could and as per usual they succeeded. There are some tunes here, but like their other sport games I rarely notice them as I get caught up in the excitement of the whole thing. Still a nice touch for those who want a little music involved of course. Also, you can’t deny that the game has a ton of replay value for those who enjoy the sport. You can play the actual games over and over again as you rise to the top. This is especially true since there is an online element here. The title never has to end as every game is fresh. That’s definitely a good thing and I can’t think of any other big Baseball game so EA has really cornered the market here. If you want to play you’ve got to play their way. Overall, I won’t say that this is a bad game. It’s too technically impressive for that. Still, it’s not my kind of game. At the end of the day it wasn’t all that fun and that holds it back quite a bit. Still, if you like Baseball then you should definitely check it out. I think you’ll probably be impressed with how in-depth it is. Hopefully next time the controls are a little more intuitive though. I’d like to be able to just pop it in and play at a reasonable level. At the very least, hopefully I could give the CPU players a run for their money. Until then I need to git gud. It’s time to look at a sports film based on true events. It’s essentially a real event but replacing the characters with film versions so it’s fictionalized enough where I can write a review for it. It’s a pretty fun film even if one of the characters really is a little too exaggerated. It’s probably not the first sports flick I would recommend to someone, but it gets the job done and I can finally add another Baseball film to my collection. The film starts off with Dottie as a senior citizen remembering the good ole days. The rest of the film is the flashback. World War II is at hand so everyone is being drafted into the army. Many jobs are now empty and so the women are picking up the slack. There are many documentaries about this period in time where the world saw for the first time that men weren’t the only ones capable of handling all these jobs. One such occupation was Baseball! The committee has decided that the game must go on so scouts are sent across the country looking for fine candidates. They come across the two main characters, Dottie and Kit. Dottie isn’t interested in joining, but Kit is desperate for a chance to show her mettle and the scout won’t take her without the lead. Dottie ends up going, but will her skills be enough to help her team win the World Series? Dottie is definitely a pretty solid main character. She’s a natural leader and quickly takes command of the team when their coach isn’t quite up to task. She is also a very good baseball player and appears to be the best in the league. Catching the baseball during the initial tryouts was a good way to protect her friends from the bullies as well. Things nearly got dicey there so it was good that she could back up her tough talk. I do think Dottie starts to falter towards the second half of the film. She’s very quick to leave the team near the climax. There is never any indication that her husband would have been opposed to her playing the last games. It seemed like she was making an issue out of nothing. The ending of the film is also pretty unsatisfying and ends up not working out very well for Dottie. The film leaves it up to your interpretation on if she held back or not. I like to think that she didn’t hold back because it would not have been the ending that either character in the situation would have wanted. Furthermore it feels like a betrayal to the rest of the team. Honestly if I were the rest of the team I’d be pretty upset by this point. Dottie wasn’t around fro the first 6 games so maybe she shouldn’t have even been put in for the final one. It just wasn’t the ending I was hoping for. Meanwhile Kit is the other big character, but she can get a bit annoying. She has a bad habit of blaming Dottie for everything. Dottie is supportive throughout the film, but when things go badly for Kit she turns on the lead. Kit’s a pretty good pitcher and Dottie gave her the opportunity to play in the league. That being said, if she can’t hold on to enough stamina to finish the game then that’s on her. Dottie has nothing to do with that. Then that led to the trade disagreement which either way worked out pretty well for Kit. Ultimately, Kit just didn’t have much of a character arc and so I felt like she got a little too rewarded for not really doing much of anything. It’s not that Kit is a bad character, she would likely grow out of the blame game. The problem is that Dottie is the one who really deserved the win here. If not her, then certainly her teammates. The supporting cast in the group isn’t bad. It’ll likely be very hard for you to memorize all of the names though as there are quite a few supporting characters. The former dancer had the most personality I’d say. She definitely didn’t want to go back to her old life and so she supported the baseball league as much as she could. She may have had the strongest drive of them all. While the girls started off as just fellow players on the same team by the end they’re all a close knit team. One of the players was even taught how to read by the others. That’s true camaraderie. Then we have the coach. Jimmy does not want to be here. He used to be a big player in his own right before he injured his knee and was forced into early retirement. As a result he seems rather resentful for a large chunk of the movie. It takes a while for him to finally get invested. (Although in the scene where he tries to steal control of the team from Dottie the player did a poor job. She absolutely should have stuck by Dottie) Once he is with the team he’s a better character. It’s a character arc that you see a mile away, the problem is that the film overplayed its hand during the first half. Jimmy just doesn’t show any class. He spits on people, discourages everyone, and just seems kind of gross. The scenes with him and the caretaker of the team are really bad as well. It’s an example at the film’s attempt at comedy which ends up failing quite miserably. It’s also really hard for him to climb back from ripping one of the girl’s cards in half. That card was really important to her and it’s not like he ever apologized on screen either. I think he was too far gone by the end. This movie excels when the baseball games are being played. However, the parts away from the game are a bit weaker. For example, the scene of the characters heading to a bar to mess around was pretty forced. I don’t think the scene was needed and it definitely dragged on. It was a bit cringy and while some of the romances there may have stuck around, it all could have occurred under better circumstances. The writing isn’t great, but it is good enough for the majority of the film. It was cool seeing the guy from Independence Day show up for a quick cameo near the end. That was neat even if the character himself seemed rather annoying. While accurate, the film also makes the baseball committee look really bad. They only care about the money and are ready to ditch the whole league at a moments notice. They force the main characters to wear costumes that certainly aren’t very practical to try and appeal to the audience. The gimmicks they have to do to boost ratings is pretty sad. I think we could have done without all of that. As the audience you know that the crowd in the film is pretty depraved. We don’t need to acknowledge it any further than that. 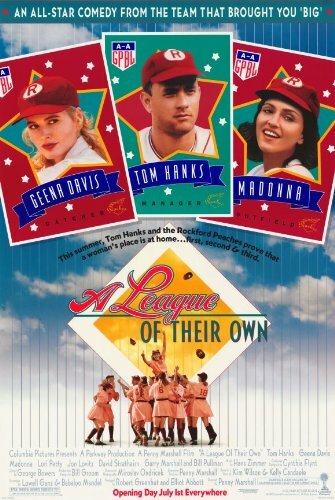 Overall, A League of Their Own is a good film. The ending, that one bar scene, and Jimmy hold it back a little but at the end of the day I’ll give it a thumbs up. I think the film could have probably been further improved if the length was chopped down a bit, but it did avoid giving up the big play so to speak. It may have had some weak moments but it didn’t have any downright bad ones where I thought, “this film just fell under” If you enjoy Baseball films and want to see a nice version of how this team got going then this is a good one to check out. See what you think of the ending. It’s time to look at a Little League game! Typically you expect to be playing with the pros so this was certainly a change of pace. As a result the gameplay is a little less realistic and aims to just be a lot of fun. I had a good time with the game even if it feels like there is a lot of luck at play when you are up to bat. There is an actual campaign so that is fun even if there isn’t much of a story. The goal is what you would expect, conquer the season and win the World Series. There are around 26 matches to go through so do your best to go all the way. As I mentioned the gameplay can be a little suspect. It got better by the end though and I couldn’t tell if it was because I spent a lot of upgrades on batting or if I was doing a better job of aiming where I wanted to hit. From what I gathered, you typically want to aim up and start charging at the last second to hit the ball when the bat is blue. This still isn’t full proof but it seems to be your best bet. Aiming low never worked at all for me and I don’t recommend bunting either. When it comes to fielding you don’t need to worry because it’s basically automatic. The fielders will run and retrieve the ball for you. All you have to do is throw to the bases if it’s a clean hit. It’s no exaggeration to say that this is the kind of game you can play while reading a book. Of course you will want to take the last few games a little more seriously since if you lose it is all over. One thing to make a note of is your original character has a special ability. Each team has one player called the Star Player. By using all 3 sections of his Talent Gauge the bat will turn blue and just hitting the ball will make it a home run. I recommend saving your gauge for this moment every time because the normal gauge hits barely change anything. At least this way you’ve got a guaranteed run which could be the difference between victory and defeat. There are also items in the game known as cards but I played without them so I can’t say that I know too much about how they work. Based on the card summaries they seem like they will certainly make the game more explosive. There are also a few other modes like multiplayer exhibitions and even a training mode thrown in. The multiplayer mode helps the replay value at least along with all of the trophies you need to collect. They aren’t all that hard but they certainly are time consuming so I can’t say that I plan to grab all of them anytime soon. The main story is around 6 hours long which is fairly decent. All in all, there is a good amount of content to keep you busy here. There are also a lot of advanced techniques you can use in the game which are sure to make you a better player. I played through all of the tutorials at the very end for the trophies and I definitely didn’t know about 80% of the techniques there. If you utilize them all then it’ll make the game feel even more complete and well rounded. Good luck pulling it all off against some of the trickier opponents, but it’s still nice to have. Then we have the graphics. The game looks pretty good. The character designs are on point and I like how my original character Terry came out. The visual effects for the hits were solid as well and in general the game was just very clear. I can’t say that I had any complaints here. As with most sport games, the soundtrack was fairly bland. Aside from a catchy main menu theme, you won’t hear much music during the actual games. I do understand this as it probably would overshadow the commentary and the grunts, but more music is rarely ever a bad thing. Overall, Little League will take a little while to grow on you. It may have a slow start, but once your team is upgraded you will be hitting like a champ. As always pitching is really the stressful part as sometimes the opposing team will suddenly go on a roll. I found it helpful to already do a low charged pitch to the side where the player is holding the bat. They seem to have a lot of trouble with that. If I get 2 strikes in a row like that, then I would throw a slow pitch which usually trips them up. Use my sips wisely and you too can be a champ. If you don’t own a whole lot of Baseball games or you simply want a change of pace then this is a good one to check out. Little League does a good job of differentiating itself from most others in the genre. Jackie Robinson is one of the most legendary figures in sports. He played a good role in getting African Americans a step closer to equal right by proving his mettle in Baseball. It may seem like participating in a sport is hardly an important feat in the grand scheme of things, but it certainly was. Robinson showed that regardless of his skin color, he could keep up with any of the other players. He endured the ridicule and taunts of opposing players and it paid off. I am certainly familiar with Robinson’s life through several books, but it is fun to see it in movie format. (There are probably several more, but this is the first one that I have seen on Robinson) The film does a great job of chronicling his life. It starts off with his induction into the major leagues as he starts from the bottom and works his way up, before concluding with the end of the season. While Baseball is a big part of the film, there isn’t a whole lot of Baseball action. That can be a good or a bad thing for viewers, but minor issue regardless. I would have liked more Baseball action myself, but it certainly doesn’t stop the film from being really good. The actual story is the important part after all. Jackie is a likable main character. My only gripe with him, was his treatment towards the reporter. I felt that it was rather uncalled for and the reporter really tried to be a nice guy. Robinson gave a reason as to why he acted in such a way, but it still felt a little out of character. It is an issue that you would expect a person to keep on the inside as opposed to letting it out. Still, Jackie Robinson recovered from this and ultimately got along with his reporter. He was a fun lead. The owner of the Dodgers, Mr Rickey, is the character who stole the show in this film. He was an incredible owner and I am glad that the film showed his Christian values. Rickey quotes the Bible on several occasions and he is a really upstanding character. It goes without saying that he was my favorite character in the film. Without him, Robinson may have never gotten a chance in the pro leagues and if he did, it wouldn’t have been this soon. Naturally, we also have some characters who are here to stir things up. Several of Robinson’s teammates signed a petition to get him off of the team and a manager from another team harassed Robinson the whole game. A lot of these characters don’t change their tune, but some do and that’s the important thing. Slowly, but surely, Robinson got people to come around and root for him instead of against him. Pee Wee Reese was one player who had Robinson’s back during the film and it always makes a difference to at least have one ally on the team. Another vocal player helped Robinson out when he was being harassed by the other team. Whether it was because the guy felt bad for Robinson or because he felt like he needed to help a fellow teammate, it was a good act. There really isn’t much of a soundtrack here, but that is really to be expected. I suppose that this film didn’t need one, but a few good songs during a film have never hurt one. Perhaps a theme from Rocky or an inspirational theme from that style would have been fitting. We never got to see Jackie train aside from one brief scene so that would have been good. The film would have just needed to add on a few extra minutes although it was already over 2 hours. If there’s one thing that can help to break down racial barrier quickly, it’s sports. Once a player is doing well, his fans will start to accept him. After all, they want wins no matter what and if the Dodgers end up winning the World Series with an African American player, the fans will still want to keep the World Series. I believe that this is one of the reasons why things started to work out for Robinson. If he had been a terrible player, the whole strategy would have fallen flat. Naturally, Robinson trained his heart out to make sure that he did well and it really paid off. It’s certainly way different from nowadays when sport athletes are incredibly diverse. There will always be some racial elements around, but by and large, things have certainly gotten a lot better. Overall, 42 is a great film and I highly recommend watching it. This is a story of perseverance and an example of how one person can always make a large difference in society. The cast of characters is good and the epilogue was fun to see because a lot of the figures were actually real besides the well known ones. 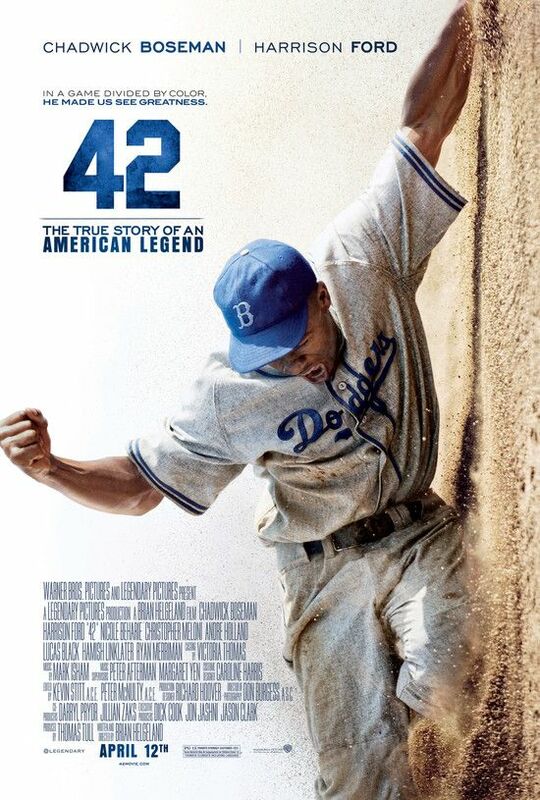 42 is a number that you will likely not forget after watching this film and this will be the example that I use when telling people how to effectively make a film based on a true story. Films based on true stories typically have a reputation of being dull or simply uninspired, but that shouldn’t be the case. Real Life can be just almost as exciting as fiction and when handled right, that ends up being the case with films. I’ve seen interesting documentaries on GMOs, so I’d expect one on Baseball to be even much better. Furthermore, this is a film and not a documentary so it should be another step above that. Now, we just need a film to be made on the Dallas Cowboys! It’s time to throw a baseball review into the mix. 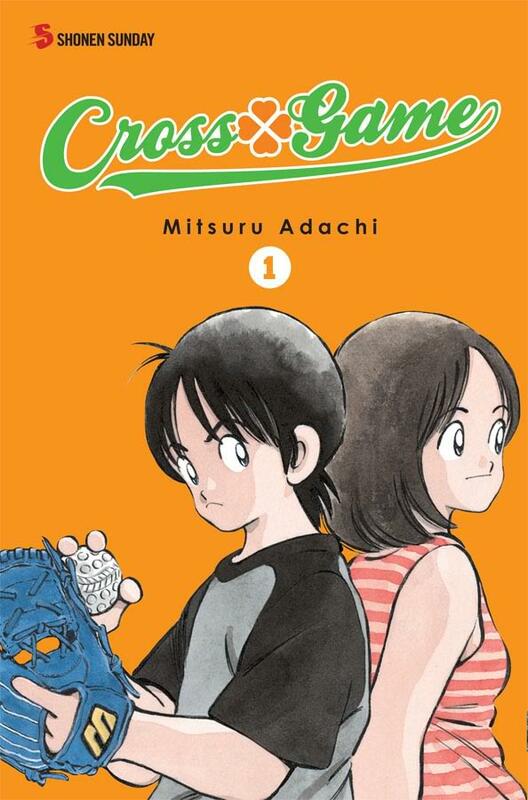 Cross Game is really the only manga about baseball that I’ve read and it’s pretty fun. You don’t need to worry because the actual sport gets a lot of screen time and that’s how it should be in a sports manga. It doesn’t take itself quite as seriously as many of the other sports manga that I’ve read. Prince of Tennis, Slam Dunk, Whistle, etc. They were all pretty serious and Eyeshield 21 still managed to keep the stakes a little higher than Cross Game. Does Cross Game’s attempt at mixing Baseball and humor work? It’s time to find out! The plot for the rest of the series is more or less the same. Ko still needs to become the best pitcher that he can be, but the pressure’s really on now. It’s less fun and games and Ko can’t let down his guard for a second! His team has gotten a lot more talented and Azuma has helped to make their offense a contender as well. If Ko’s ever going to make it to Koshien, it’s going to be in this tournament. It’s do or die and there is no going back now! Ko is an intriguing main character. He’s definitely pretty unique compared to most other leads like Naruto, Allen Walker, Goku, etc. He doesn’t want to be the very best Baseball player because he loves the game so much. (Although he really does love Baseball) He needs to throw an extremely fast pitch to impress Aoba and he needs to make it to win the final tournament to fulfill a promise that he made to Wakaba. So, unlike most other leads, the stakes are very high from the beginning. After all, he can’t make it to the big tournament once he graduates from the school so he only has 2-3 tries to make it all the way. Because of this, Ko continues to train hard day in and day out. He tries to keep the atmosphere light, but he can never be quite as chipper as his teammates on the inside. He ends up being a pretty likable main character. He can joke around a lot, but it’s mostly to keep team morale up and to put up a solid front. He does also get into the romance subplot for the majority of the series and that can be a distraction from his pitching. Luckily, he’s still pretty good. Ultimately, he’s a nice guy and Ko is serious about winning at Koshien. He exercises vigorously every day and he never loses sight of his goals. Akaishi is one of the main characters and he’s a good person. He becomes a catcher to help Ko fulfill Wakaba’s final wish and he does a pretty good job of it. He does fall into the whole romance angle a lot easier than the other characters, but he manages to resist it for the most part. He hasn’t totally gotten away from it, but he tries. He’s one of the few characters who knows how personal the Baseball games are for Ko and he’s always someone that he can count on. His role never becomes as large as it could be though. Senda is the main source of comic relief in this series. He flirts a lot and he seems to think that he’s actually a great baseball player. Unfortunately, this couldn’t be farther from the truth. The heroes don’t even try to humor him most of the time. Things never end well for Senda, but he stays pretty chipper about the whole situation. I definitely wouldn’t mind if he wasn’t in the series though since we don’t need more flirts. At least he never does anything really drastic though so I can let him slide for the most part. His comic relief stays classy and that’s always a good thing. Wakaba is one of the big players in this manga. Her story is definitely one of the more emotional ones, but she was pretty optimistic through it all. She was a nice person and she definitely helped Ko to excel. She doesn’t really play Baseball, but she’s still pretty influential to the series in other ways. Her name probably pops up more than all of the other characters. As with most of the other characters, Wakaba was a good addition to the series. An intriguing plot point develops when a girl named Akane moves into town. She looks exactly like Wakaba and the same goes for her mannerisms. The similarities are uncanny and this can definitely be dicey for the main characters. It also helps to provide the Wakaba plot with some closure, but it’s safe to say that she wasn’t quite as good as Wakaba. They were a little too similar so you end up thinking of Akane as a poor substitute for the real deal. That being said, Akane doesn’t do anything wrong and she’s still a pretty good character. I definitely prefer Wakaba though. As you can see, Cross Game has a pretty good cast of characters. Senda can be a little annoying and the same goes for a certain truck driver, but nearly all of the other characters are pretty good. If there was a character who could have been a lot better, it would be the coach. He’s very old and wise, but he’s just not as enthusiastic as the other coaches from your average sports manga. I would take the coach from Whistle any day. Being able to play is also a key factor and that’s something that this coach really can’t do. He has an assistant as well, but she never really gets a role in the story. There are definitely other members of the team that I could mention as well, but they’re mostly just here to fill in the ranks. I will say that the coach of the main rival team was a lot better than our coach. He was pretty sinister and he’s an antagonist, but he has personality. He really took the games seriously and he always got upset when his team loss. It’s what you would expect from a real coach and the (not so) subtle insults from him are a nice change of pace from the polite cast of characters. His shades also add an extra dimension of coolness for his character. The art is very clear and easy to read. An argument can be made that it is a little too basic, but for a Baseball manga maybe that’s okay. It doesn’t look bad and you can always tell what’s happening. I won’t deny that a more intense looking art style like Prince of Tennis or Eyeshield 21 may have helped the series a little more, but the artwork here fits the tone. One problem that I have with it is actually the number of reused facial expressions and panels in the series. It seems like the author can only draw a handful of different facial expressions so every member of the cast gets to try them out. There are whole panels that look exactly the same and the dialogue is only subtly changed. I’m sure that it saves the author time, but maybe it’s intentional. Some of the gags rely on the fact that the panels are the time so maybe it’s a mix of saving time and allowing the panels there for joke reasons. The series has a lot of comedy undertones so it’s always possible. Cross Game is certainly more emotional than the other series based off of a sport. It also manages to balance other genres like comedy and romance while giving the Baseball games a lot of screentime. It’s a little tricky to do all of that and I wouldn’t have minded if they cut down on the romance and comedy a little more. Keeping it as a Baseball themed story with some drama would have been interesting. The romance was just a ltitle too much of a focus. The rival likes the main heroine and the main character is conflicted since he sort of likes the heroine, but he also likes someone else. He can try to move on, but is it the right choice? There’s also tension because the catcher liked one of the main characters and we can’t forget about Senda. Essentially, all of the main players liked someone so there was always some kind of romance plot in the air. It’s handled in seriousness sometimes or just played for laughs. The series jumps from both genres a whole lot so it can be hard to tell at times. It is what it is though and Cross Game did a decently good job considering. If you’re going to have romance then at least do it in a professional manner and that’s what the series did. They didn’t waste time with random fanservice scenes and the series should be proud of itself. It managed to jump past a hole that most other series fall into quite a few times. The series got close to 20 volumes, which is pretty impressive. As with Bakuman, the series goes by in a flash and it’s hard to imagine that it went on for so long. So, how does it stack up against the other sport manga? Well, I may have already hinted that it’s not quite as intense as some of the others, but let’s be direct about it. Cross Game isn’t quite as good as Whistle, Prince of Tennis, Eyeshield 21 or Slam Dunk yet. (Granted that I’ve only read one volume of Slam Dunk, but I thought that the start wasn’t bad) I prefer those series because they are a lot more fast paced and the sport action is really intense. They feel like Shonen Jump titles and they can even hold their own against battle manga like Naruto and Bleach. Cross Game just isn’t that kind of title and it doesn’t try to be. It’s still a pretty fun read though and it’s more about the overall experience than the excitement. You won’t get a rush from reading it, but you’ll still enjoy the experience. It’s a manga that leaves you feeling happy and that is definitely a good thing for any title. Overall, Cross Game is definitely a fun read. From start to finish, it’s an enjoyable experience and it’s something that you could recommend to anyone. The story is very accessible so it’s something that the mainstream crowd could enjoy as well. (Provided that you like Baseball) The characters were all fleshed out and it’s a fairly deep experience for a Baseball manga. The story never drags out either and I definitely wouldn’t have minded if the author had continued for another 5-15 volumes. I do think that the artist could be lazy with the dozens of reused facial expressions and panels, but it may have just been an artistic choice that didn’t go over very well with me. There aren’t a whole bunch of characters in the story since you don’t get to really meet a lot of the opponents, but that’s all right. As long as the main characters are solid, then that’s really all that we need. I definitely recommend checking this series out!